Harini Sampath is an Assistant Professor in the Department of Nutritional Sciences and the New Jersey Institute for Food, Nutrition, and Health, at Rutgers University. In her work, she uses her training in Biochemical and Molecular Nutrition to identify cellular alterations that underlie metabolic diseases such as type 2 diabetes and cardiovascular disease. Her current research interests include: 1) understanding the consequences of oxidative stress on DNA damage and mitochondrial function; 2) designing rational nutritional and pharmaceutical approaches to enhance cellular tolerance of oxidative stress, and 3) disentangling the roles of different dietary macromolecules, including carbohydrates and fats, on influencing disease susceptibility. Her work has been funded by the NIH, the Marie-Curie Foundation, and the American Heart Association and has been published in numerous journals including the Journal of Biological Chemistry, the American Journal of Physiology, Cell Metabolism, and Endocrinology. Harini received her Ph.D. from the University of Wisconsin-Madison in 2008 and her B.S. from the University of New Hampshire in 2002. Hong joined the Sampath Lab at its inception in 2016 as Lab Manager. She manages various lab duties including genotyping, nucleic acid isolations, histology, and ordering. After work, Hong enjoys cooking and gardening and has a veritable green thumb. Deeptha joined the Sampath Lab in 2017 as a Research Associate and supports the lipidomic needs of the lab. Deeptha operates and maintains the lab’s gas chromatography-mass spectrometry (GC-MS) instrument. In her spare time, Deeptha enjoys cooking and making intricate origami. Priyanka joined the Sampath Lab in June 2018. Trained in academia and industry her research focuses on identifying new dietary phytochemicals with promising pharmacological activity against diseases posing a threat to public health. She is currently working on understanding the molecular mechanisms that link dietary factors to induction of DNA damage both in vitro and in vivo. In her free time she loves to travel and develop her passion for nature photography. 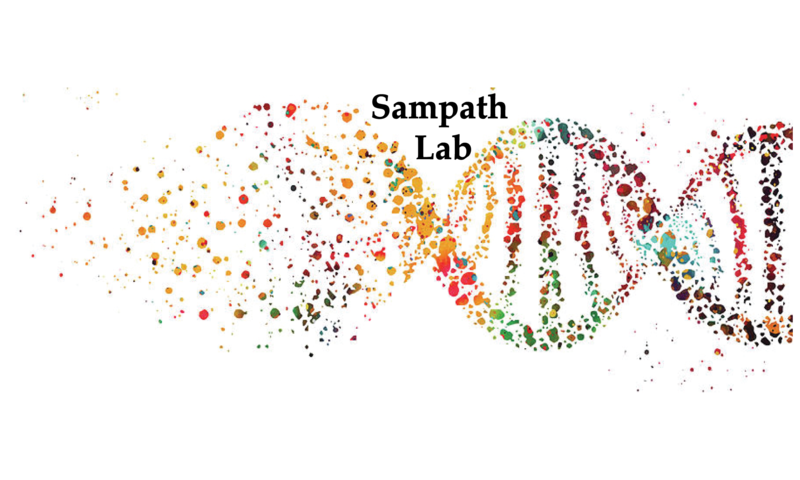 Anupom Joined in the Sampath Lab in September 2018. He received his Ph.D. from Saitama University, Japan, where he evaluated mechanisms of gastrointestinal motility and their regulation by peripheral brain-gut hormones. He is currently working on elucidating the effects of DNA damage and OGG1 function on adipogenesis and lipid metabolism in the adipocyte. During his leisure time, Anupom likes to travel and watch movies. Sai is a fourth-year doctoral student (Biochemistry) and is engaged in research on the role of DNA repair mechanisms in modulating risk for obesity and metabolic dysfunction. In his free time, Sai loves travel and photography. Tas is a third-year doctoral student (Nutritional Sciences) in the lab. Her research is focused on intestinal lipid metabolism and its role in modulating the microbiome, as well as energy balance of the host. In her free time, Tas is a keen poet and hopes to publish a book of her work someday. Natalie is a second-year doctoral student (Molecular Biosciences). Her thesis is focused on understanding the cellular localization of DNA repair enzymes in the context of caloric excess. In her free time, Natalie likes to exercise and to cook. Emmanuel is pursuing an accelerated MS in Biomedical Sciences, with the intent of attending medical school at Rutgers University. His MS thesis is centered on the role of exercise in regulating muscle DNA damage and function. Emely joined the Sampath Lab as an undergraduate researcher in 2016. She assists with laboratory maintenance and inventories and studies on the role of dietary antioxidants on DNA damage and repair.